Dreambaby Gate Adaptor Panel (36 inch tall) provides a flat surface to install child safety gates. It is very universal and can be used with most any brand hardware or pressure mounted gates. 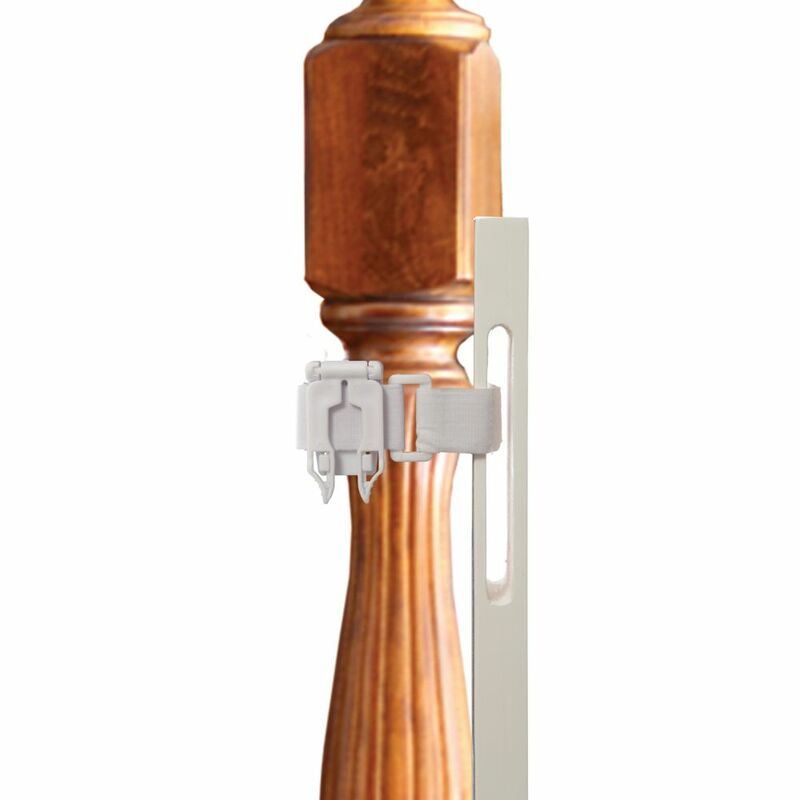 It is suitable for top and bottom of stairs and fits most stair posts and banisters. This gate adaptor is quick and easy to fit requiring no tools or drilling to install. Provides a flat paintable surface. FITS MOST STAIR POSTS AND BANISTERS: Using the adhesive pads and Velcro straps to keep it in place. PAINTABLE TO MATCH ANY DÉCOR: Gate Adaptor is paintable wood, dimensions: 2 x 1 x 36 inch. Gate Adaptor Panel (36 inch tall) Dreambaby Gate Adaptor Panel (36 inch tall) provides a flat surface to install child safety gates. It is very universal and can be used with most any brand hardware or pressure mounted gates. It is suitable for top and bottom of stairs and fits most stair posts and banisters. This gate adaptor is quick and easy to fit requiring no tools or drilling to install. Provides a flat paintable surface. Gate Adaptor Panel (36 inch tall) is rated 3.0 out of 5 by 1. Rated 3 out of 5 by Sam from This product was just ok. There was no way for us to get the straps tight enough to prevent move... This product was just ok. There was no way for us to get the straps tight enough to prevent movement for the panel. We had the straps as tight as possible and the panel still moved which caused the gate to unlatch. We ended up drilling holes through the banister which was not ideal but we needed a working gate. The banister we were attaching this to was a little wider than the panel itself. If the banister was the same size or smaller we may have had better luck with it staying.